Looking for a great pair of weekend earrings? These sleek leather and turquoise Howlite earrings are the perfect go-to pair of earrings. Wanting a pair of earrings that reflect your inner bohemian? These beautiful earrings are perfect for you. Unleash your inner boho goddess with these long leather tassel earrings. 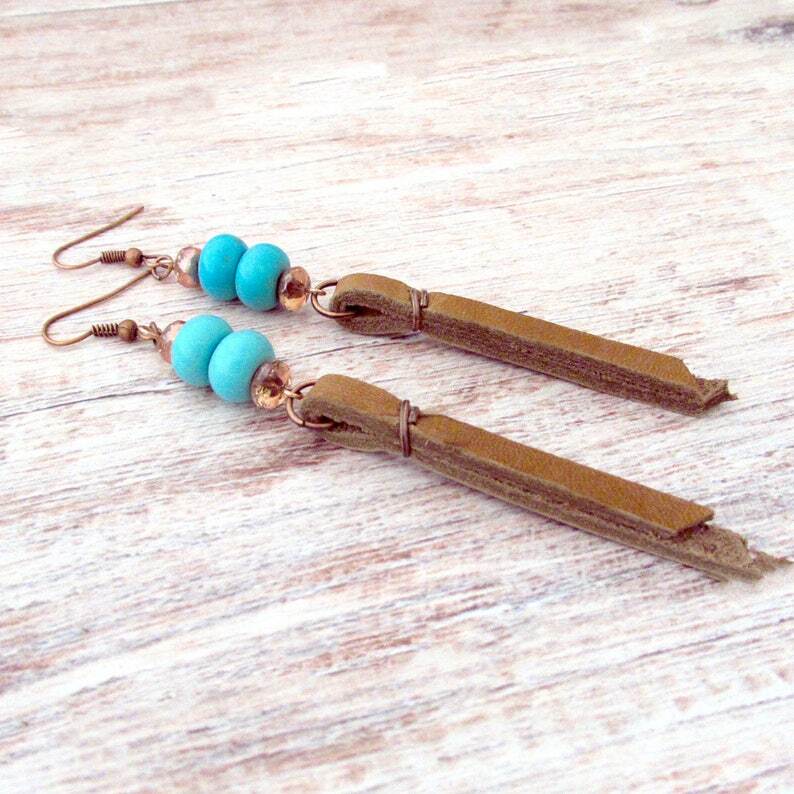 These long leather earrings were handcrafted from thick brown leather lacing, copper wire, dyed turquoise howlite, and copper plated Czech glass beads. 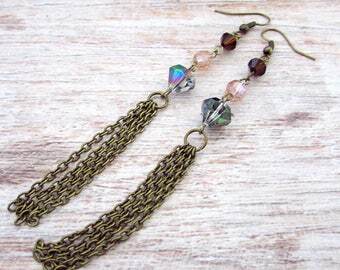 The ear wires of these earrings are oxidized copper French hook style wires. The Czech faceted glass beads feature copper plating on the bottom of the beads. These long leather earrings are the perfect accessory for your bohemian outfits. The length of these leather earrings measures approximately 4 inches (10.16 cm).